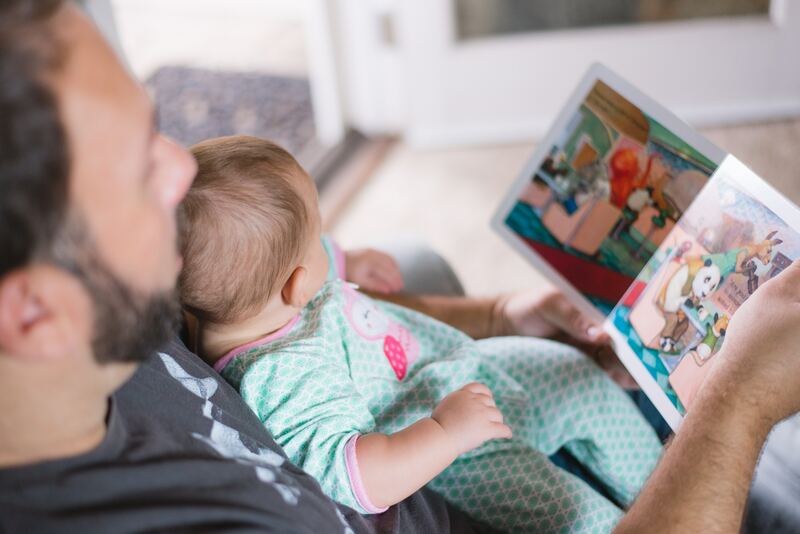 Reading to children – it’s probably one of the first things you began doing with your little one. But what about when children get older? Some parents may stop reading to older children, since they already know how to read. But did you know, there are many benefits to reading aloud to children of all ages, even if they’ve mastered reading on their own? If you have different age groups of children in the home, it is fun to select a book that is engaging for more than one age group. Each child will get something different from the story. A younger child might enjoy learning about the characters, while an older child may enjoy the theme of the story. When you read aloud to a child, they have the opportunity to use their imagination to picture what is happening in the story line. This leads their young mind to predict the ending of the story or even what the characters may look like. Reading a book that is one or two levels above a child’s reading level allows them to be subjected to new words and phrases. They may ask you what the word or phrase means or they may figure out the meaning of the word or phrase by listening to the rest of the context of the story. Both ways helps to broaden their vocabulary. Reading aloud to a child, no matter their age will provide a strong sense of interest in books. The benefits of reading are almost endless and in turn can help a child’s attention span and interest. Speaking of attention span, reading an entertaining book to a child can increase their ability to pay attention as well as increase their focus on an activity. Reading aloud to children has many benefits – not just those listed here. What are some benefits you’ve seen reading to your children? At Five Star Montessori we nourish your child for life. We offer Montessori programs for infants, toddlers, preschool, Kindergarten and before/after-school programs. We have two locations to serve your family best, West Houston and Katy, TX. Stop by one of our locations for a tour. We look forward to meeting you!